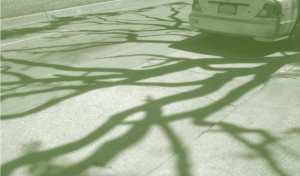 Street trees block less of a driver’s visibility than cars parked on the street. Engineering design policy manuals, such as those of the American Association of State Highway and Transportation Officials (AASHTO), recommend designing street intersections with clear sight-triangles so a driver can see potential conflicts before enter- ing an intersection. These triangles extend hundreds of feet beyond the intersection. Recommended designs eliminate objects above sidewalk level that intrude into the sight-triangle and may interfere with a driver’s vision. 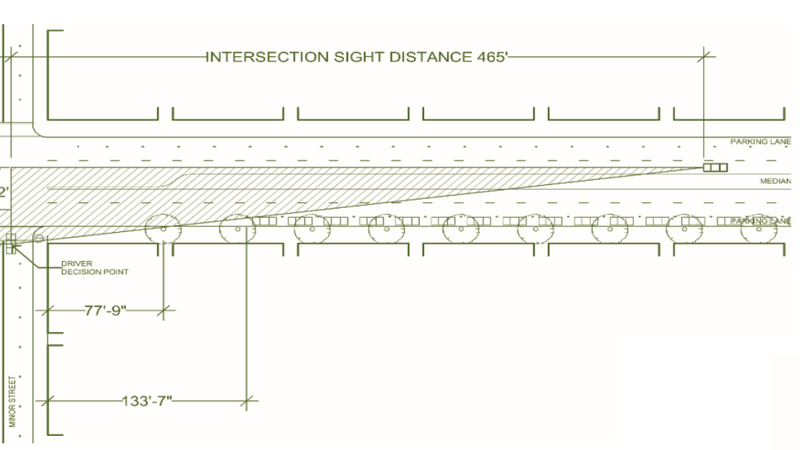 Traffic and highway engineering textbooks describing the “clear sight-triangle” concept generally show diagrammatic views of intersections indicating sidewalk trees as objects to be eliminated. In the diagrams, trees are represented as solid circles, implying they are solid cylinders going all the way to the ground. This representation is of course unrealistic because street trees typically are trimmed to branch high. And although the intent of the clear sight-triangle is to eliminate physical obstructions from a driver’s cone of vision, which operates in a three-dimensional world, the triangle is conceptualized in two-dimensional terms. In reality, the part of a street tree that would intrude on a driver’s central cone of vision is the trunk, a relatively narrow vertical element. AASHTO policy recommendations and their embedded assumptions that street trees must be eliminated from clear sight-triangles have resulted in many cities adopting street design standards that severely restrict sidewalk trees at intersections. Large set-back restrictions on trees often apply regardless of how a given intersection is controlled, while no similar regulations are written for other things commonly placed on sidewalks near intersections, such as newspaper racks, traffic signal poles, streetlights, and parking meters. Furthermore, urban street design ordinances generally do not require holding back on-street parking spaces a large distance from an intersection, so in practice parking spaces often intrude into the sight-triangles. 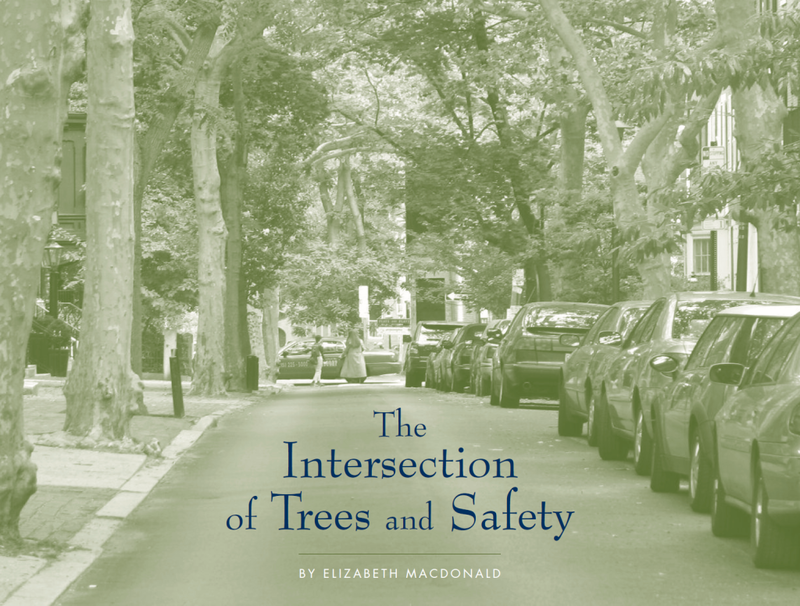 In sum, engineering policy recommendations in many cities have resulted in vigorous limitations on street trees near intersections but little regulation of other possibly obstructing elements. This reality is of concern for two reasons. First, restricting street trees may not be solving the intersection visibility problem. Parked cars and blocks of newspaper racks can present more of an obstruction to driver’s sight lines than do street trees. Second, restrictions on street trees at intersections mean that cities are creating streets that do not function as well as they might for pedestrians. Research from social science and environmental design disciplines suggests that sidewalk street trees play a major role in creating well-defined, comfortable, safe-feeling, and inviting pedestrian realms. 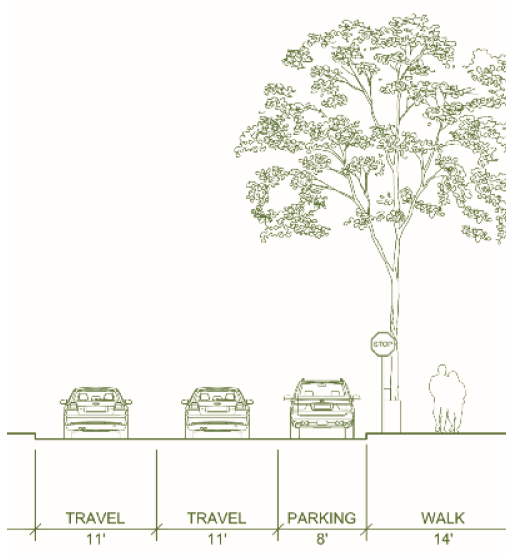 Closely planted trees at the sidewalk edge can create a transparent fence that protects pedestrians, psychologically and physically, from vehicle traffic on the adjacent roadway. They provide shade on hot, sunny days, and some protection from rain. A recent body of public health research finds associations between environmental form and levels of physical activity, suggesting that people are more likely to walk where they feel comfortable and where the environment is inviting to pedestrians. 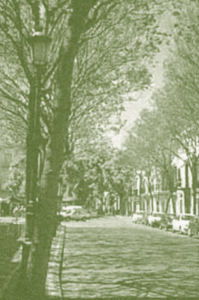 In addition, street trees provide ecological benefits, such as shading hard surfaces and evapotranspiration, which helps mitigate urban heat island effects. 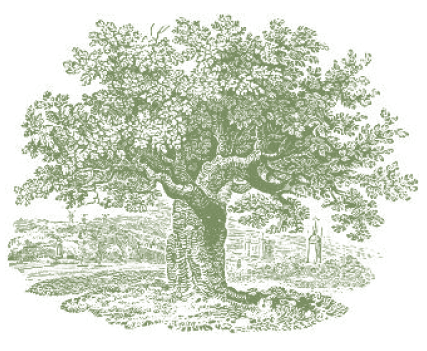 Thus trees should not be restricted without careful consideration. Research from the fields of environmental psychology and public health points to psychological health benefits of nature in cities. Streets make up the bulk of public space in cities, and are distributed more evenly throughout the urban environment than are public parks. Thus they offer the biggest opportunity for the public provision of trees within cities. Research suggests that street trees can play an important role in helping make urban environments legible—in other words easily understandable—for people who live and work in them. Kevin Lynch found that closely planted trees on urban streets contributed to pathway imageability (that is, the ability to form and hold a mental picture of something), which can help people make sense of urban spatial environments, create clear cognitive maps, and navigate from one place to another. Sidewalks near intersections should be designed for pedestrian comfort as well as safety, since pedestrians tend to gather at intersections. They are route choice points, where people often stop to ponder which direction to go, as well as common meeting locations. Traffic controls at intersections oblige pedestrians to stop and wait there, although the close contact with moving vehicles makes intersections potentially dangerous and uncomfortable places. Holding street trees back a significant distance from intersections creates large gaps in the tree line. Indeed, with large setback standards, short blocks can have so few trees that any positive effect from them is negligible. On a 200-foot-long block in Portland, Oregon, for example, a typical setback standard, combined with a not-uncommon fifty-foot standard for spaces between trees, would result in no more than three trees per block. Transportation planners in recent years have begun to adopt a more holistic and complex view of streets than in the past. Emphasis is shifting toward equity concerns, and toward providing streets that work for all transportation modes, especially pedestrians. 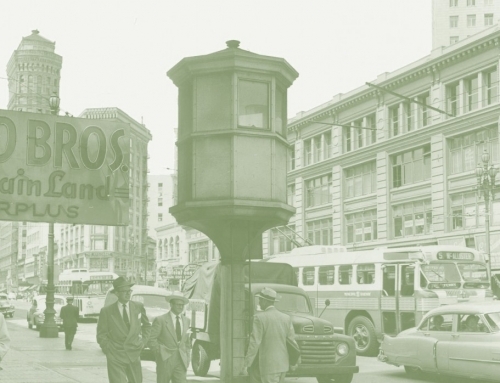 As a case in point, several years ago the San Francisco Bay Area Metropolitan Transportation Commission adopted a street redesign program directed at achieving pedestrian comfort as well as safety. 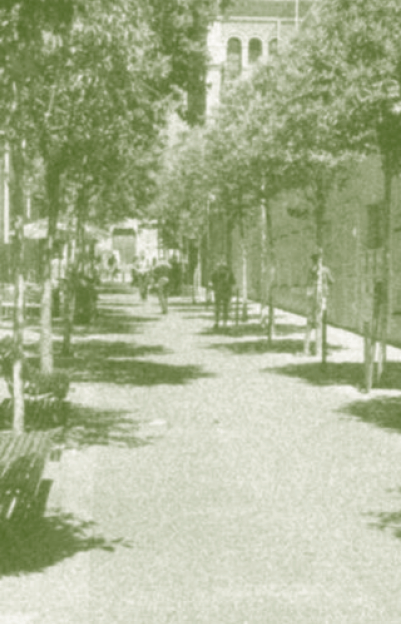 The first objective often proves difficult to achieve because those qualities that make the best pedestrian environments often conflict with safety standards requiring large setbacks or large spaces between trees. If communities are interested in creating streets that work for pedestrians as well as cars, they should not restrict sidewalk street trees unless it can be shown unequivocally that they create unsafe environments. If all trees cause significant visibility problems, then it makes sense for engineering policy guidance to continue recommending that they be held back substantial distances from intersections without making allowances for the type of tree or how it is trimmed. 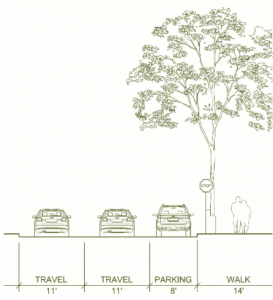 Perhaps a middle ground is possible, by creating more detailed criteria for sizes and shapes of sidewalk trees within the clear sight-triangle. If street trees don’t hinder safety, then there is no need to give them up or avoid planting them near intersections. Advances in three-dimensional spatial modeling and improved techniques for simulating movement through virtual spaces make it possible for us to explore the impact of intersection street trees on driver’s visibility more precisely than was possible in the past. We recently conducted a study at UC Berkeley that had three objectives. First, we wanted to understand how AASHTO guidelines apply to typical urban situations, and to identify any ambiguities and/or conflicts that arise. We did not study uncontrolled or yield-controlled intersections, which are not commonly found in urban locales, and we likewise ignored signalized intersections, as the sight-triangle specified for a left turn does not affect street tree placement and the sight- triangle specified for the “right-turn-on-red” is the same as for intersections with a two-way stop. Thus we narrowed our research focus to departure sight-triangles at intersections with stop control on just one roadway. 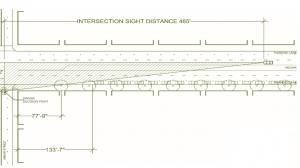 Our second objective was to understand how various planning jurisdictions within California have interpreted AASHTO advice on clear sight-triangles within formal standards that restrict street trees or other objects near intersections. We also wanted to know whether local standards are absolute or if they allow some discretionary leeway. We collected data from thirty cities and compiled it in tables to compare it. Third, we used computer modeling and drive-through simulations to analyze the amount of visual obstruction caused by street trees and other objects at intersections, as well as to test what drivers see. We first created four digital models of a typical urban intersection. 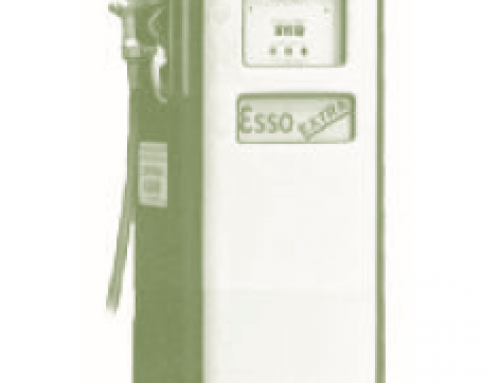 The basic configuration was kept constant but locations of sidewalk trees, parked cars, and newspaper racks varied to reflect AASHTO recommendations, modified AASHTO recommendations, the actual standards in place in Oakland, California, and a researcher-defined pedestrian-friendly option. We animated the models with moving cars and created drive-through simulations from a driver’s viewpoint, showed the resulting video to 96 individuals in a controlled laboratory experiment, and had them complete a questionnaire. 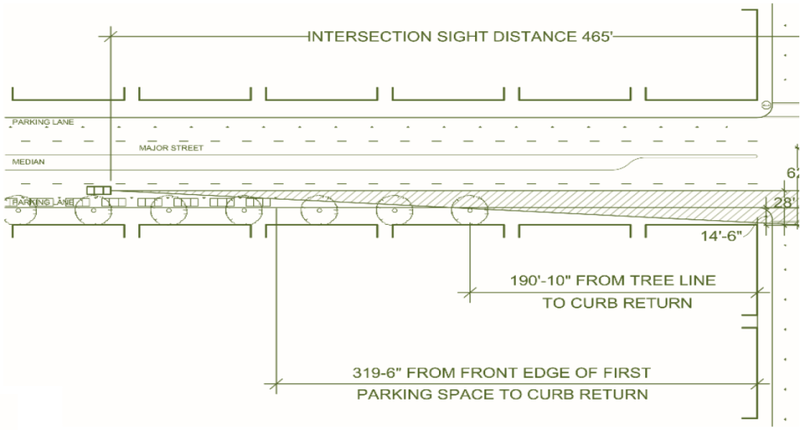 AASHTO uses a mathematical formula to determine the size of the departure triangles it recommends, with variables related to street width and design speed. These formulas result in very long sections of streets that are supposed to be kept clear of obstructions. (For example, on a main roadway with a 100-foot right-of-way intersecting with a minor street with a sixty-foot right-of-way, the tree line is supposed to be approximately 190 feet back from the corner.) If the recommendations were followed precisely, many urban blocks would have few street trees and little on-street parking, and all of it would be clustered at mid-block. Our research uncovered a major problem: AASHTO guidelines contain ambiguities that make them difficult to interpret. 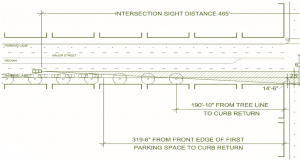 For example, it’s hard to figure out where to set the location of what’s called the “driver decision point,” which has major implications for how much of the triangle overlaps the parking lane and sidewalk. Using a conservative interpretation of the AASHTO guidelines—setting the point 14.5 feet back from the curb edge— makes no sense in cases where buildings come right to the property line. At that point the buildings block most of the driver’s view of the intersecting roadway. On urban streets with sidewalks and parking lanes, setting the driver decision point 14.5 feet back from the edge of the near travel lane makes much more sense. While AASHTO differentiates between intersection types in terms of how they’re controlled, and makes different clear-sight-triangle recommendations for different cases, many of the California cities we studied adopt “one-size-fits-all” street-tree setback standards. Nevertheless, street-tree setback and spacing requirements vary greatly among the California cities studied; setbacks range from fifteen to fifty feet back from the curb, and minimum spacing between trees from twenty to fifty feet. Of the California cities studied, many have no written standards for on-street parking near intersections. Those that do have generally adopted looser restrictions for on-street parking than for street trees, with parking setbacks ranging from 10 to 25 feet back from the crosswalk. Those cities that have adopted standards for newspaper racks invariably permit them to be much closer to intersections than either trees or parked cars, and generally allow them to be both quite long (7.5 to 15 feet) as well as to extend above the eye level of a driver in a typical car. In addition to setback and spacing requirements, many cities have adopted additional restrictions on street trees, such as required minimum distances from driveways, street lights, signs, fire hydrants, gas meters, water meters, transformers, and parking meters. The cumulative effect of so many restrictions severely limits where sidewalk street trees may be placed along the whole length of a city block as well as near intersections. In practice, it seems that many cities use a great deal of discretion regarding street tree setbacks and spacing, that is, decisions are apparently often made on a case-by-case basis. 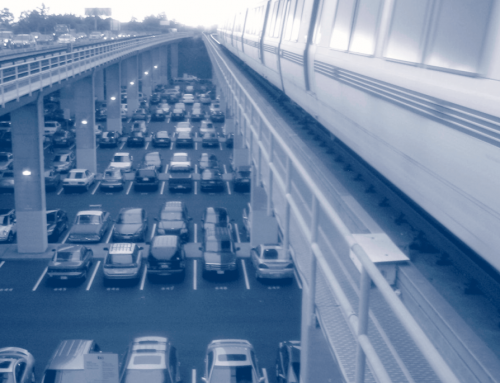 The widespread use of discretion means that urban designers are likely not to know the reasoning behind the AASHTO recommendations, nor to be able to successfully challenge them. Simulation seems to work well as a way of testing visibility at intersections, but it’s important to reference actual driver behavior rather than make assumptions about it. The method is particularly useful because it prods analysts to confront three-dimensional realities they might not otherwise consider, such as that tree canopies generally start some distance above the ground. The primary conclusions that can be drawn from both the experiment results and the survey answers is that, first, the presence of high-branching sidewalk trees near intersections does not significantly affect a driver’s ability to see approaching cars—or at least its significance is considerably less than that of other equally common curbside objects such as parked cars and newspaper racks. Second, the presence near intersections of a combination of parked cars and newspaper racks does significantly affect a driver’s ability to see approaching cars, regardless of whether street trees are kept out of the AASHTO-recommended clear sight-triangle or not. In the end, the basic conclusion of our research is that street trees—if properly selected, adequately spaced, and pruned to branch high—do not create much of a visibility problem for drivers entering an intersection where there is a stop control on just one roadway. Cars parked on the street—particularly large ones such as the SUVs used in our digital models to simulate worst-case conditions—create a substantially bigger visibility problem, and newspaper racks also get in the way. Although additional research is necessary, it’s clear that the AASHTO guidelines regarding recommended street-tree setbacks at urban intersections need to be re-evaluated. The full report Street Trees and Intersection Safety is available for download from the UCTC website. 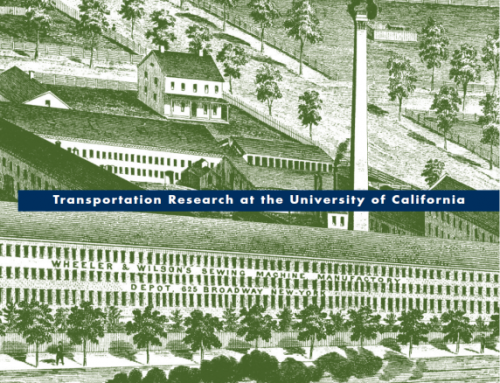 Robert Cervero and Michael Duncan, “Walking, Bicycling, and Urban Landscapes: Evidence from the San Francisco Bay Area,” American Journal of Public Health, no. 93, 2003. 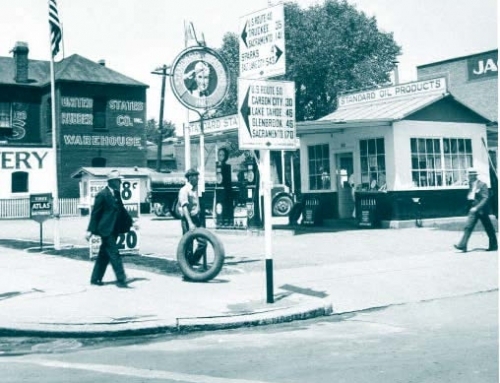 Lawrence Frank and Peter Engelke, “The Built Environment and Human Activity Patterns: Exploring the Impacts of Urban Form on Public Health,” Journal of Planning Literature, vol. 16, 2001. Susan L. Handy, Marlon G. Boarnet, Reid Ewing, and Richard E. Killingsworth, “How the Built Environment Affects Physical Activity: Views from Planning,” American Journal of Preventive Medicine, vol. 23, no. 2, 2002. Nancy Humpel, Neville Owen, and Eva Leslie. “Environmental Factors Associated with Adults’ Participation in Physical Activity: A Review,” American Journal of Preventive Medicine, vol. 22, no. 3, 2002. Allan B. Jacobs. Great Streets. (Cambridge, MA: MIT Press, 1993). Brian E. Saelens, James F. Sallis, and Lawrence D. Frank, “Environmental Correlates of Walking and Cycling: Findings from the Transportation and Urban Design and Planning Literatures,” Annals of Behavioral Medicine, no. 25, 2003.